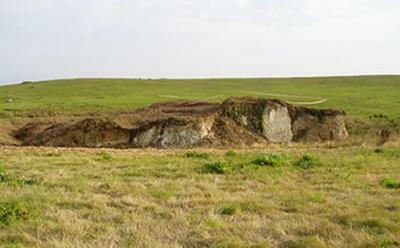 Tests carried out by a University of Southampton archaeologist have confirmed a former chalk quarry, owned by Tarmac, holds vital clues about prehistoric climate and the early human occupation of the UK. Dr Francis Wenban-Smith has identified palaeo-environmental remains, such as ancient snail shells and bones of extinct voles, in sediment samples he excavated from Baker’s Hole, an archaeological site near Ebbsfleet International railway station in Kent. Similar remains, still buried there, could help unlock a wealth of knowledge about the nature of the climate 250,000 to 200,000 years ago and how this affected Neanderthals colonising the area during this period. Dr Wenban-Smith explains: “These biological remains can tell us if the climate was warm or cold, if the land was wooded or marshy and give us general clues about the environment and local landscape the Neanderthals were living in. “These early humans at Baker’s Hole didn't live in caves or build shelters. They would most likely have slept in the open and had substantial body fur to keep them warm. They would have hunted game as a band, and probably had complex social structures and behaviour, including singing and dancing around the campfire. 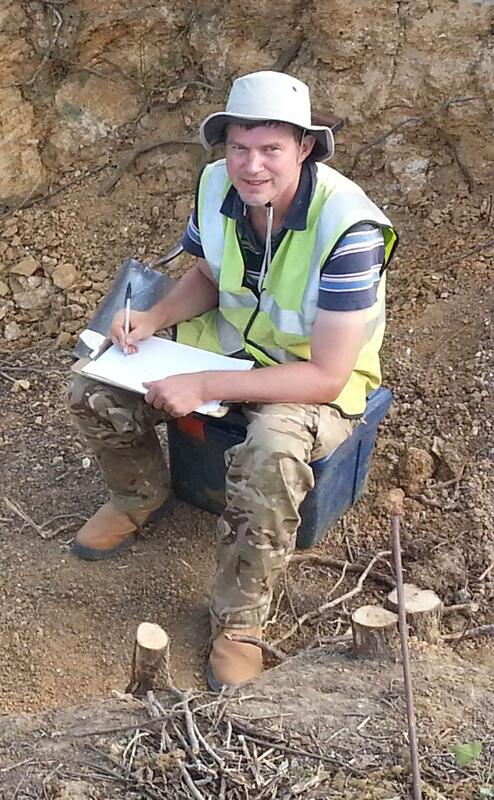 Dr Francis Wenban-Smith on site at Baker's Hole. Baker's Hole, which dates to the period known as the ‘Middle Palaeolithic’, was first investigated in the 1930s, with further work in the 60s and early 90s. In 2013, it was placed on Historic England’s Heritage at Risk Register as it was heavily overgrown, and there was concern important archaeological remains were degrading. In 2014, the University of Southampton, Historic England and Natural England worked with the land owners Tarmac to clear 50 years of vegetation growth, giving archaeologists the chance to conduct further research. They now face a race against time to learn as much as possible about the site before crucial evidence is damaged by plant roots, animal burrows and other forms of erosion. New fieldwork, funded by Historic England, is currently being conducted in order to better understand the remains and protect against further deterioration. This involves collecting more samples of the remains now known to be present and measuring the degree of deterioration since previous investigations. The currently-exposed old archaeological trenches will be backfilled to protect them, while longer-term management plans are considered. Stone tools, mammoth teeth and other fossils such as giant deer, bear and lion, have previously been found at Baker’s Hole. It is unusual in being one of the very few non-cave Palaeolithic sites on the national list of protected archaeological monuments. Protections have ensured its preservation in conjunction with the adjacent development of Ebbsfleet International and the High Speed 1 rail link.